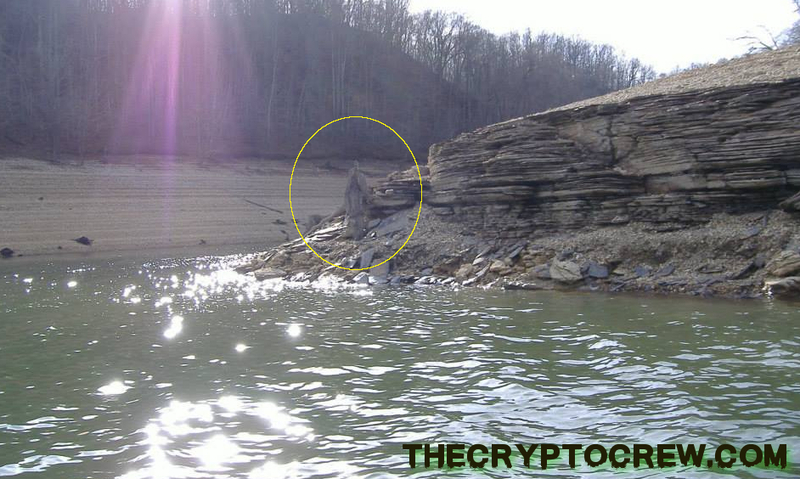 Next up is this ghostly image captured by Helen at Lake Cumberland. 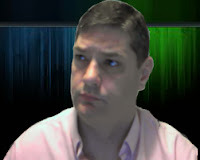 There is also some enhancements, zooms and before pictures in this post. But before we get to them lets talk a little about Lake Cumberland. 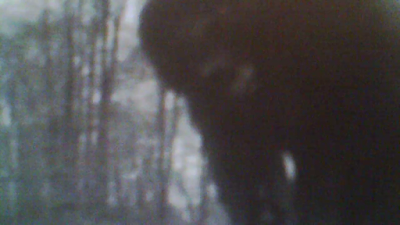 After reading some of the history of the lake I can understand why there might be ghost hanging around. Lake Cumberland is a reservoir in Clinton, Laurel, McCreary, Pulaski, Russell, and Wayne counties in good old Kentucky. The reservoir ranks 9th in the U.S. in size and contains 6,100,000 acre feet of water. It was built for two primary reasons: one to help control flooding and two the production of hydroelectric power. But if you dig into some of the stories and history you will find some really spooky tales. Lake Cumberland was first officially created when the Wolf Creek Dam was placed on the Cumberland River in 1952. But it was started much earlier and the work was stopped due to the war. Originally it was planned in the 1920s and then enacted by Congress in the 1930s. The groundbreaking actually happened in 1941. But early construction of Wolf Creek Dam to impound the Cumberland River was halted by World War II. The work started back after the war. When the lake was built the water filled up much faster than expected. Some people either didn't want to leave or didn't have time to leave and some lives were lost. 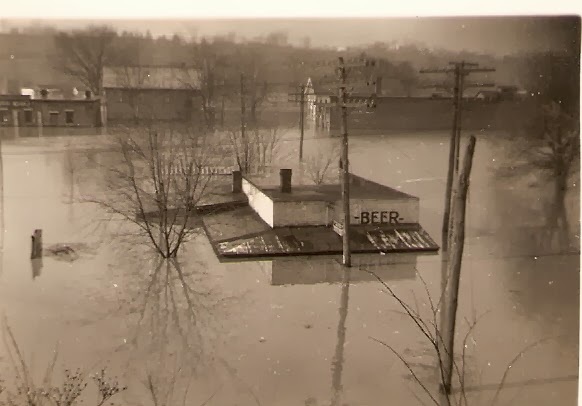 It wasn't just farm land that was covered with water, it some whole towns. Many people wanted to stay on their land as long as they could but it seems some just didn't make it out in time. Another eerie tale is that 123 cemeteries and the remains of 2,800 people also were relocated because of the impoundment for Lake Cumberland. Headstones, coffin lids and remains were removed and re-buried in cemeteries on higher ground. Lake Cumberland's water level was lowered in in 2007, this lowering of the water revealed several small cemeteries and exposed numerous empty coffins and burial vaults. Now, I think we have set the stage for you that the area has the a number of ingredients that could lead to paranormal activity. "Hi, we live on Lake Cumberland in Ky, the lake is man made back in the 40s. ... the first pic is a close up of a stump. The second is the pic I took, only because is looked so pretty with the water glistening like diamonds. After I got the pic back I told my hubby thats a stump but there looks like something on it. So I enlarged it and appears to be a man with a black hat standing, a woman sitting in front of him and a baby on her lap !!!!! Here is the picture of the stump where it looks like it should. 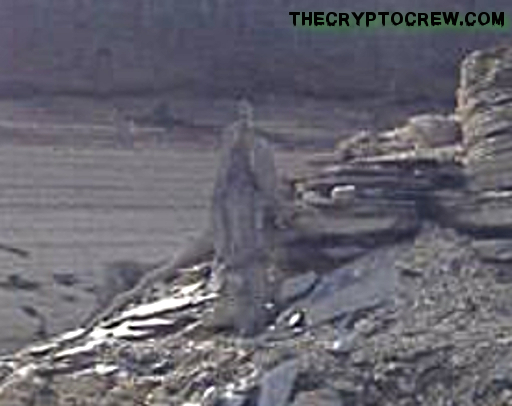 Here is the picture where there appears to be a figure at the stump. 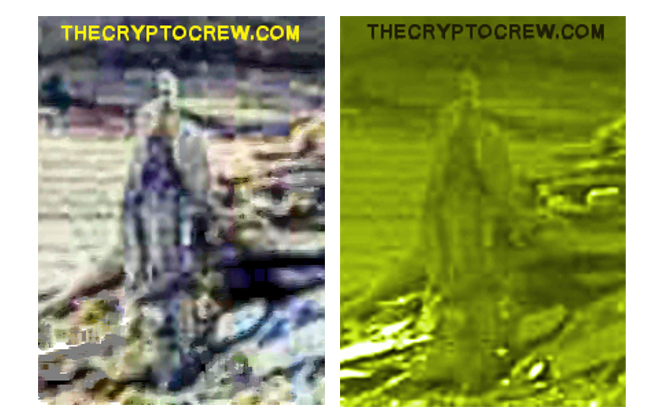 Here is a zoom in of the figure and several other enhancements. 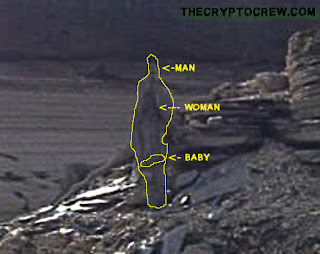 Hopefully, you can see that there does indeed appear to be a figure of a man, a woman and a possible baby in the picture. Once you see it it is almost impossible not to see them. 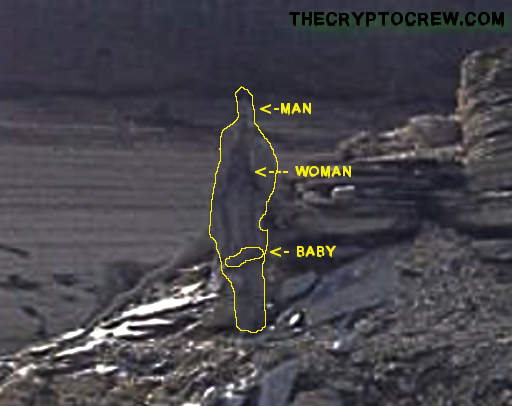 Could this be a family that use to live in the area before it became a lake? A big thanks to Helen for sending in the pictures and telling us about it. And while it may be somewhat upsetting to her, it is still an impressive picture and she is very fortunate to have captured them in the photograph. If you have odd or unusual pictures and stories, please feel free to contact us. Sleep Paralysis Or Something More Sinister?